1661 - arrived in Cambridge as a sub-sizar. 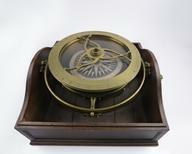 1664 - begins to study mathematics. 1666 - wrote To Resolve Problems by Motion these Following Propositions are Sufficient, in which he used his own algorithms for tangents and quadratures, for determining centres of curvature, and rectifying certain curves. 1667 - after plague shuts Cambridge university, he returns to his studies. 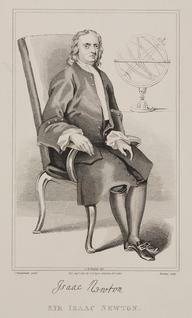 1669 - succeeded Isaac Barrow as Lucasian professor. 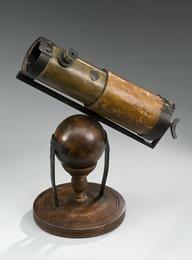 Constructed the first known reflecting telescope. 1670 - began studies in theology and alchemy. 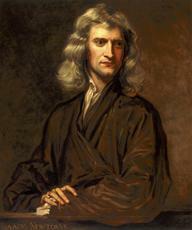 1685 - gradually worked out what became his three laws of motion. 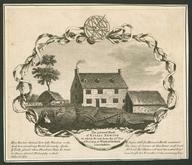 1695 - consulted on matters connected with the Royal Mint. 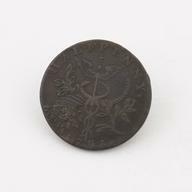 1696 - offered and accepted the wardenship of the mint. 1698 - elected to the French Académie des Sciences. 1702 - represented Cambridge in parliament but was largely inconspicuous. 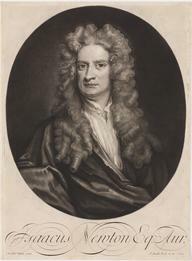 1703 - elected president of the Royal Society.